The Boboli Gardens... are on the other side of the Arno! There’s no better way to escape the heat and crowds of Italy’s cities than by seeking out a park. Here are our top choices for the most accessible, and prettiest, green spaces in Florence, Milan and Rome. Bonus: These parks aren’t just great for a picnic, a jog or relaxation — since lots of Italians take advantage of them, especially on the weekends, they’re fantastic for people-watching, too! Villa Bardini Gardens. After being closed for decades, the gardens, first laid out in the Middle Ages, only reopened in 2005 — part of the reason why they’re so much less known than the Boboli Gardens (below). That means they’re much more peaceful, and just as pretty, with statues, a Baroque staircase, and panoramic views of the city. The 10-euro entrance includes entrance to the Boboli Gardens, Costume Gallery, Silver Museum, and Porcelain Museum. Click here for the location of the entrance to the Villa Bardini Gardens. Boboli Gardens. The only other big green area in the city center, the 11-acre park happens to be both beautiful and historic, created by the Medicis when they took over the Palazzo Pitti in the 16th century. Don’t miss its Grotto del Buontalenti, a Mannerist vision of fake stalactites, replicas of Michelangelo’s Slaves, and Giambologna’s Venus. Since they’re so much better-known than Villa Bardini, these can be more crowded; just keep heading into the interior until you find some quiet space. Entrance is 3 euros, or 10 euros to combine with the Villa Bardini and other sights (see above). 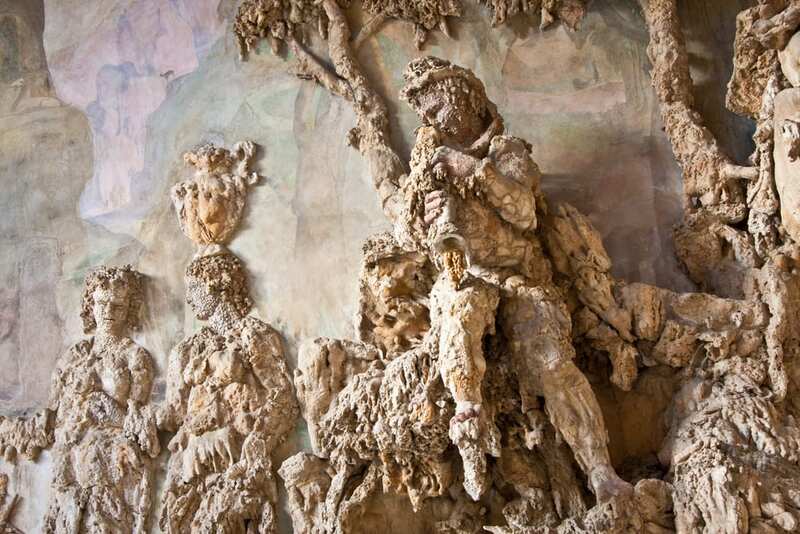 Click here for the location of the Boboli Gardens. Giardini Pubblici. Milan’s prettiest park, it was designed by the same 18th-century architect who did La Scala. Today, it’s a lovely green space with avenues and a small lake. It’s also perfect for kids: There’s a planetarium and the Museum of Natural History. And across the road, the Giardini della Villa Reale, with their swings and small pond, are such a haven for kids, the only people allowed in are children under 13 accompanied by adults. Click here for the location of Milan’s Public Gardens. Parco Sempione. Right in the center of Milan, Parco Sempione boasts not just lots of green space and opportunity for people-watching, but some top sights, including the Triennale and the Torre Branca. (The Torre Branca is where to find one of the best views of Milan around!). Corners of it can sometimes feel a little sleazy, though, so come on weekends, when the locals do. Click here for the location of Milan’s Parco Sempione. Villa Borghese. Rome’s answer to Central Park, Villa Borghese dates back to the early 17th century, when it was the playground for the noble (and pope-producing) Borghese family. Today, locals and tourists alike take advantage of its tree-lined paths and green spaces, jogging, picnicking, even pedaling those funny 4- or 5-person contraptions (and threatening to take out anyone else in their way!). Here’s where to come to people-watch, admire the view of Piazza del Popolo from the Pincian hill, or to pop into one of the park’s several top-notch museums — the Galleria Borghese among them. (Below, part of the gardens at the Galleria Borghese). 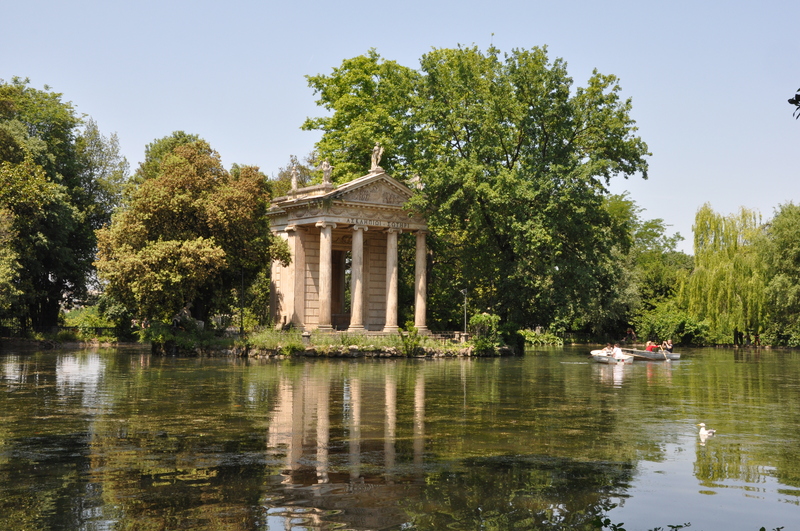 Click here for the location of the Borghese gardens. Villa Celimontana. A stone’s-throw from the Colosseum, right across from Palatine Hill, is the Celian hill, where you’ll find Rome’s most peaceful park in the entire centro. First created by the wealthy Mattei family in the 16th century, today it’s a haven for locals — and only those tourists most in the know. It features views over Rome’s southern neighborhoods and the hulking Baths of Caracalla, plenty of shade, and decorative statues and an obelisk. A popular jazz festival takes place here in the summer. Summer’s also the season when a big swath of the park transforms into a makeshift resort… complete with swimming pool. Click here for the location of the entrance to the Villa Celimontana. Your tours would be a great asset to visitors. I was only in Florence for one day and I could have seen so much more with a guide, as it was I missed out on so much, like the Boboli Gardens and Villa Bardina Gardens. They sound so lovely.Next time! These are really beautiful park full of greenary, various monuments and statues. They are the must visit places during visit to these cities.